James Godwin, Ph.D., is among the researchers whose work at MDI Biological Laboratory of Bar Harbor won a $12 million grant. 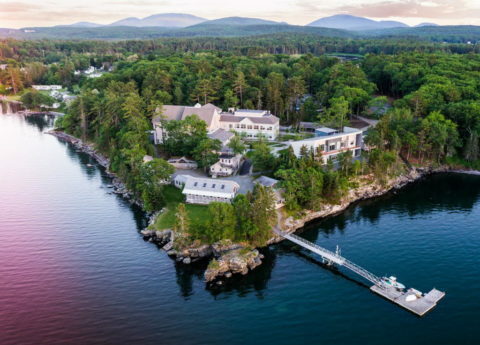 MDI Biological Laboratory of Bar Harbor has won a $12 million federal grant. A Mount Desert Island laboratory announced Friday that it has been awarded a $12 million federal grant to aid in researching the aging process and the regrowth of human body parts. The National Institutes of Health Center of Biomedical Research Excellence (COBRE) grant will support the work of several scientists at MDI Biological Laboratory’s Kathryn W. Davis Center for Regenerative Biology and Medicine. It follows a $13 million grant to the Bar Harbor-based laboratory campus awarded in 2013, MDI Lab officials said. 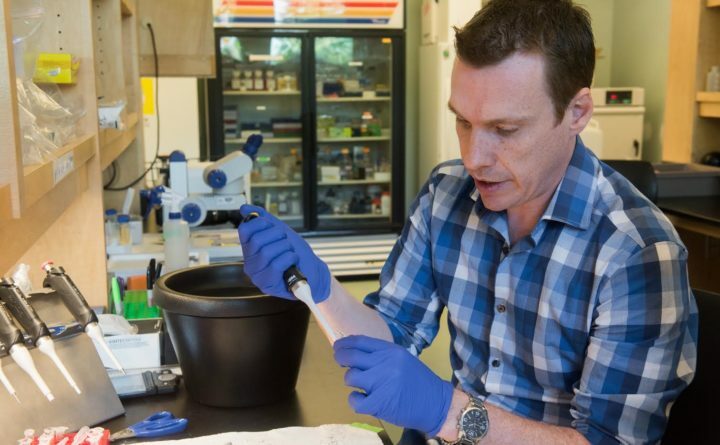 MDI Lab researchers will use the $12 million to study progeria — a rare disease that causes accelerated aging in children — to learn more about normal aging. They will examine heart and limb regeneration in the axolotl, a salamander with extraordinary regenerative powers, to see how regeneration might be induced in humans. The regulation of gene aging will also be studied, officials said. The latest grant will accelerate MDI Lab’s efforts to develop new drugs to regenerate tissue and extend human lifespans, said Kevin Strange, Ph.D., who serves as director of the Davis Center. The $13 million grant supported research to create a drug that would activate the regeneration of heart muscle tissue after a heart attack and multiple other tissue injuries. MSI-1436 is now being developed by Novo Biosciences, a for-profit biomedical research firm in Bar Harbor. MDI Bio Lab has upgraded and expanded significantly at its Bar Harbor campus in recent years, including a new $3 million, 2,500-square-foot laboratory building that is used to promote innovation and entrepreneurship in biomedical sciences. Founded in 1898 as a seasonal lab in Harpswell, MDI Bio Lab moved to Mount Desert Island in 1921. In recent decades, the lab has shifted from being primarily seasonal to a year-round research institution, increasing the number of its year-round employees from nine to more than 50. Follow Hancock County news and events on Facebook.